I had an unexpected email a couple of weeks ago from the marketing department at Trailblazer Guides. 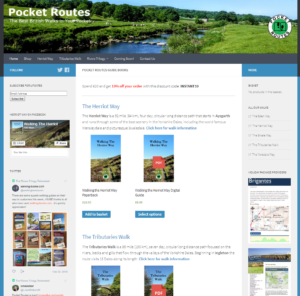 They had seen my short review of their Coast to Coast guidebook on my Walking Places C2C pages and based on that they asked if I’d be interested in reviewing some of their other titles. Not being one to turn down the offer of free stuff I said “Yes, of course”. I hasten to add that I’m not concerned about giving negative feedback if it’s warranted – I’m no-ones “yes man” and I’d rather send the books back than write a “Oh it’s great” review when it’s not. Over the past few months, Trailblazer have been busy updating some of their UK walking books and I was sent the “Scottish Highlands – The Hillwalking Guide” by Jim Manthorpe and the “Pennine Way” by Chris Scott, Keith Carter and Edward de la Billière. The first publication is a collection of the best hills in Scotland and I will publish a separate review for this book soon; first impressions are very good however. The second publication is their guide book for the Pennine Way walk of course. I don’t have the original version of the book, so I can’t compare like for like, but I have several other Trailblazer guides and there have been some nice additions in this new guide. As with all their guides, the format is cargo pocket sized and could easily be carried with you on the walk. Indeed on my Coast to Coast earlier this year and on my West Highland Way last year I saw dozens of people walking with the trademark red guide books. Which brings about my first slightly negative thought. The new versions of their range of books don’t have that distinctive red border around the front page photo. The spine and back covers are still mostly red but by changing the format of the front cover they may be losing some of that trademark “red book” look. The contents don’t disappoint though. There is the fairly standard first few chapters on getting there, when to walk, some of the background to the walk and so on and although these are important sections in a guide book they tend to be common across most of the range and don’t differentiate the Trailblazer guides from any other books. The real differentiator for Trailblazer is the quality of the mapping. The book is packed with hundreds of hand-drawn, highly detailed maps. They ignore the fluff and noise of OS style maps and concentrate, with laser focus, on the path itself. The scale is much greater than OS mapping too. 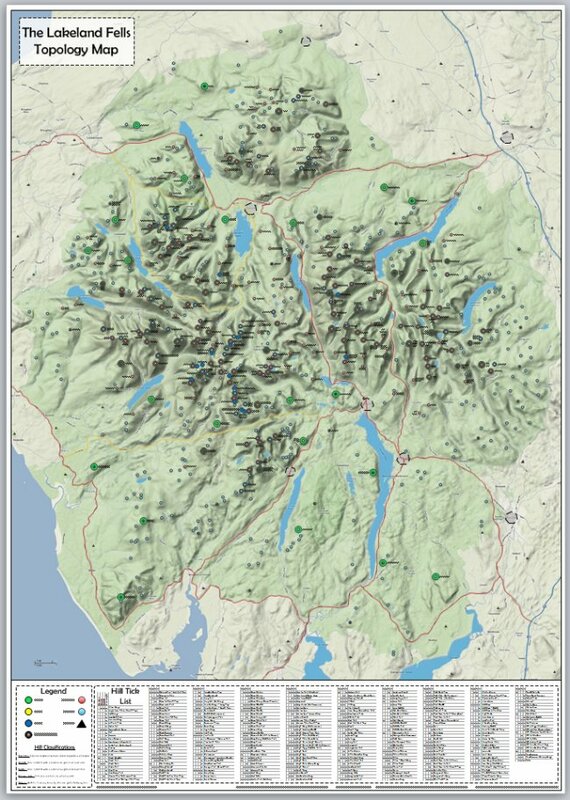 Where you may struggle to follow the path on a 1:25k scale OS map, as the route winds between a myriad of local features, the Trailblazer maps (at around 1:20k) remove all the inconsequential detail and just show the landmarks that relate to how you follow the route. New to this edition is the addition of GPS waypoints. Each map has two or three GPS references included; at key positions along the route – perhaps at a crucial turn or where paths meet etc. The end of the book has a complete listing of all 200 odd waypoints for adding to your GPS device. A nice touch is the ability to go to the Trailblazer website and download this list – rather than having to type them all in manually – which invariably leads to errors. I feel they could have gone a step further here and offered the waypoints in a GPX file. As they are at the moment you need to convert the Lat/Long references manually or use one of the freeware conversion tools that are available on t’Internet. 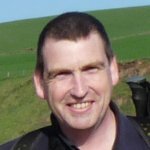 The maps are the crown jewels of the guide book – you couldn’t navigate the route by the text provided by Chris and the others; it’s simply not detailed enough, but when you have maps of this quality, you just don’t need the text. Other guides concentrate on textual descriptions and if this is how you walk a route then you need to look beyond this guide book. Another new feature in this guide is the inclusion of text from “ordinary folk” – mostly folk with an active Internet presence by the looks of things – but people who have walked the route and have interesting points of view to add to the guide. Sections like “Next time I walk the Pennine Way I would…..” and then in 200-300 words the people describe what they would do differently next time. A lovely personal touch I think and makes the book much more accessible and readable. One final slight criticism is the paper the book is printed on. The Scottish Highlands book is printed on much lighter paper – presumably because there are many more pages in that book and they wanted to reduce its size, but I honestly feel that this Pennine Way guide would have benefitted from this lighter weight paper. The book, as a result, feels stiffer and I’m reluctant to bend it back fully open in case I split the spine. Just a minor complaint though. This is surely the definitive guide book for the Pennine Way now; it’s completely up to date and with the addition of internet download-able GPS waypoints it’s a modern “multi-media” guide for the modern era. Well done Trailblazer. The amount of detail is really good, and I like the way they pinpoint stuff along the trail. oh yeah, they arrived at the mail earlier today. And I plan on bringing a cellphone with built-in GPS just in case. I’ll be using mine in April, and I plan to continue over to the WHW later on. For now I’m walking alone but wouldn’t mind company. I like the idea of the included maps, but I think OS maps are probably better for actual navigation. Mark. I love the Trailblazer maps because of their simplicity and the level of detail they show. Admittedly if you wander off track they are completely useless for navigation – but the new PW book has GPS waypoints as well, so you could use the GPS to guide you back to the route. When you’re on track they have much more detail than the OS 1:25k scale maps and much easier to walk with IMO. I’ll be using the PW book in May on the full walk and used the WHW book in 2008 – when are you thinking of walking the routes?